Kontraband X Dan Elborne — . Kontraband X Dan Elborne, 2014. Cans, Twolaks, slipcast porcelain, glazed and decorated with Twolaks custom decals. 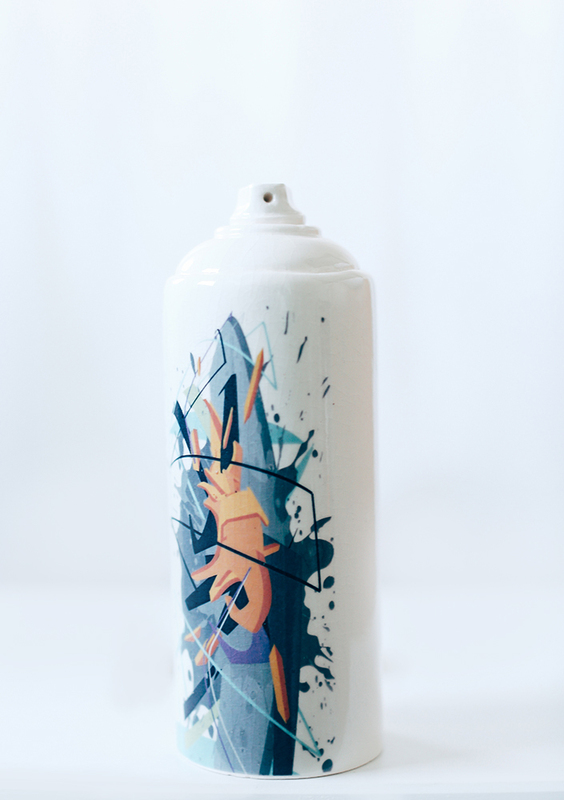 7xcans, 2014. 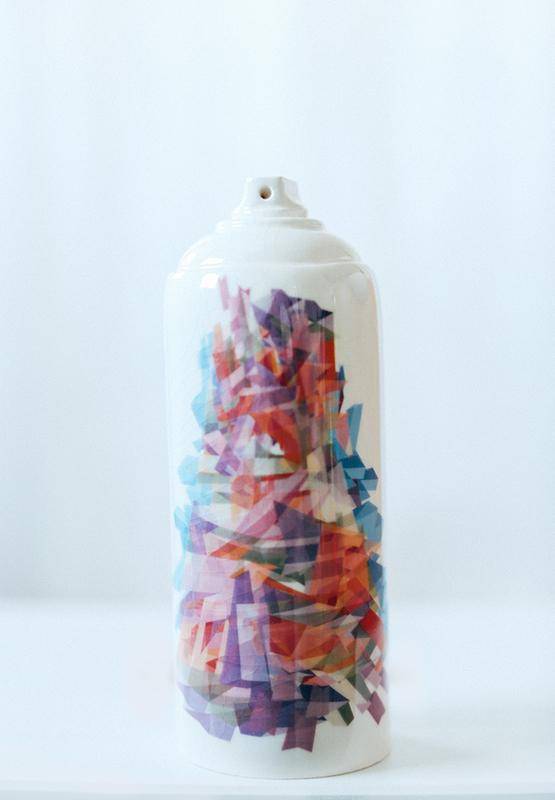 Cans, Mick Archibald, slipcast porcelain, glazed and decorated with Twolaks custom decals. 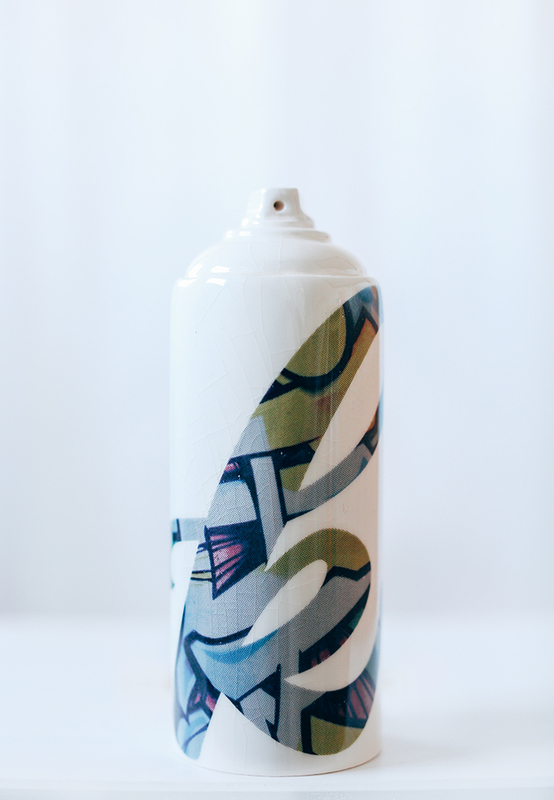 7xcans, 2014. This series was made in collaboration with the founders of Kontraband Studios, Toowoomba, Twolaks and Mick Archibald. 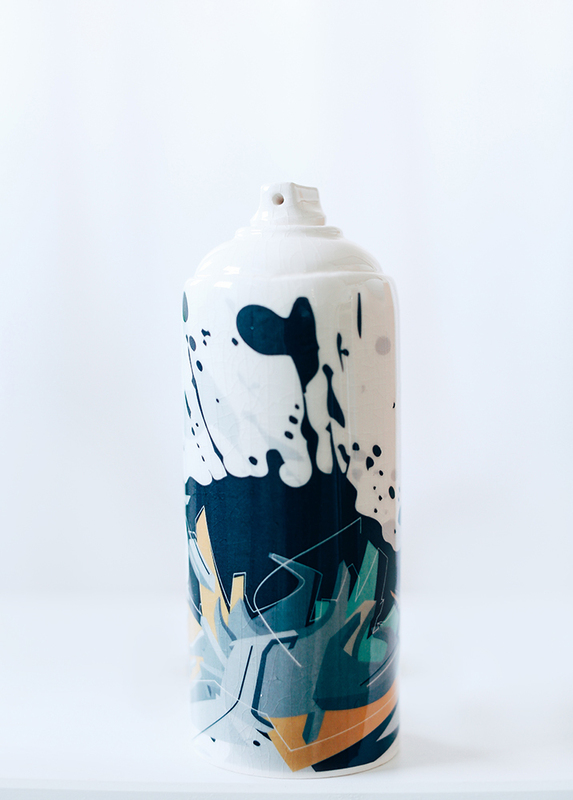 For the purpose of a group show, Dimwits, at No Comply Gallery Toowoomba, I have decorated 14 slipcast, glazed porcelain cans with designs from Twolaks and Archibald (7 cans each). A sign-writer by trade, Twolaks’ recent work is rediscovering his love of type and is a parallel to his graffiti based practice outside of the gallery space. Archilbald’s background in screen-printing and graphic design has moulded his process driven creative practice. 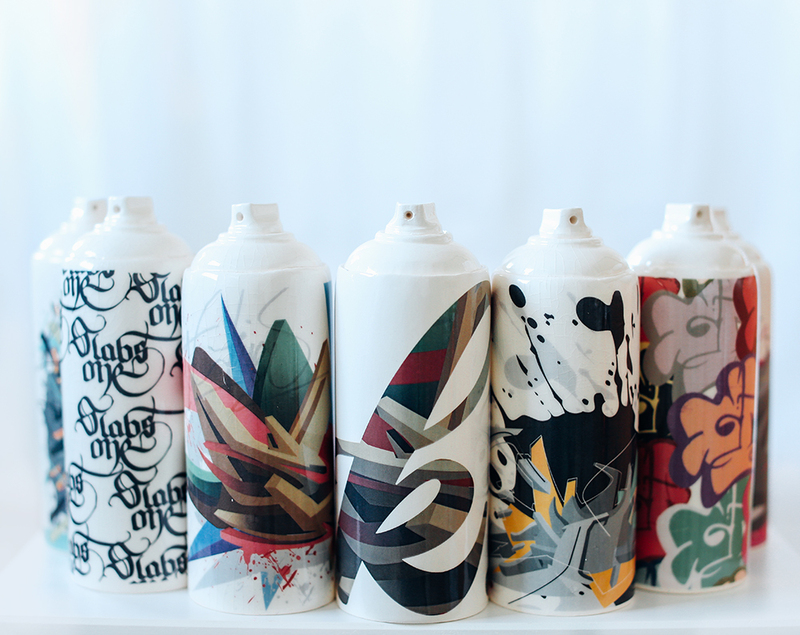 His latest works are a balance of graffiti and design, in particular the clinical way in which those art forms overlap.